Miranda Priestley returns in a follow-up to the bestseller that spawned the Meryl Streep hit movie. 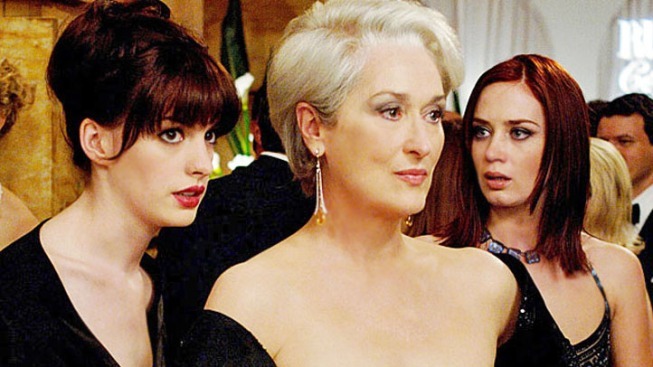 Anne Hathaway, Meryl Streep and Emily Blunt starred in "The Devil Wears Prada." A sequel to the original book, on which the film was based, has been announced. You can almost hear ice-cold editor Miranda Priestly demand, "Emily! Get me a sequel!" Fans of "The Devil Wears Prada" – both the original book and the movie on which it was based – will have the chance to check in with the well-heeled cast of characters once again when Simon & Schuster publishes "Revenge Wears Prada: The Devil Returns" in April 2013, reports EW. Author Lauren Weisberger picks up the story eight years after main character Andrea (Andy) Sachs, played by Anne Hathaway in the film, has left the stylized world of Miranda and her magazine Runway behind. In "Revenge," Andy is now an editor at bridal magazine The Plunge and works alongside former Runway co-worker Emily, played by an acerbic Emily Blunt in the movie, and is engaged to a handsome media scion named Max. How and why Andy comes back into the rarefied realm of Miranda remain to be seen, but no doubt the two will reconnect in what is sure to become a must-read of summer 2013. Author Lauren Weisberger, promoting her latest book "Last Night at Chateau Marmont," told Niteside during a signing at Ginger Boutique last night that she has newfound freedom and "no drama." 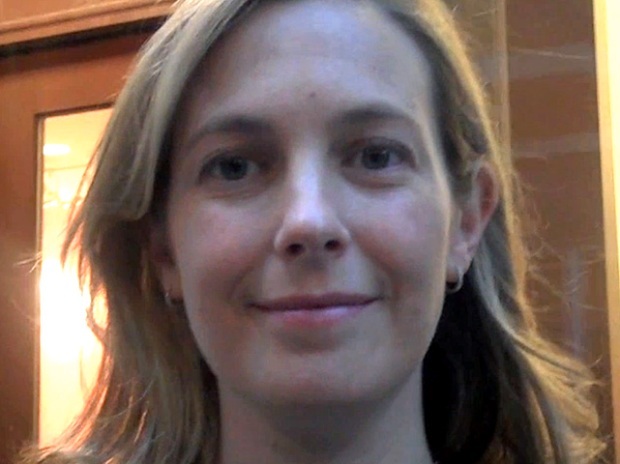 Weisberger worked as a former second assistant at Vogue, and much speculation has been reported that the character of Miranda was based on the magazine's editor-in-chief Anna Wintour. Published in 2003, the book spent six months on The New York Times' bestseller list. Streep earned an Oscar nomination and won a Golden Globe for her portrayal of the low-voiced, high-fashion-wearing boss in the movie adaption. Wintour famously wore Prada to a special screening of the film when it was released.